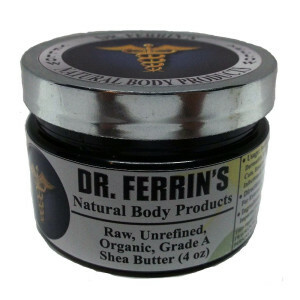 Dr. Ferrin's Raw, Unrefined, Organic, Grade A Shea Butter is manufactured by an ancient woman's group in the remote North Region of Ghana in a "Centuries Old" cold­pressed, water extraction, chemical free technique that enhances and preserves the all natural, delicate, secret healing agent of our Shea Butter...or also know as the Bio­Active Fraction of this miraculous product. 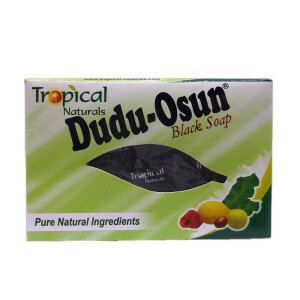 Once at our FDA compliant manufacturing facility in the USA, each product is examined, tested, packaged and sealed for freshness to meet the approval of our company's strict criteria. Certificate of Origin­ International trade document attesting that goods in a particular export shipment are wholly obtained, produced, manufactured or processed in a particular country. Phytosanitary Certificate ­Formal Document issued by an exporting country's agricultural authorities to verify a shipment has been inspected and is free from harmful pests and plant diseases. 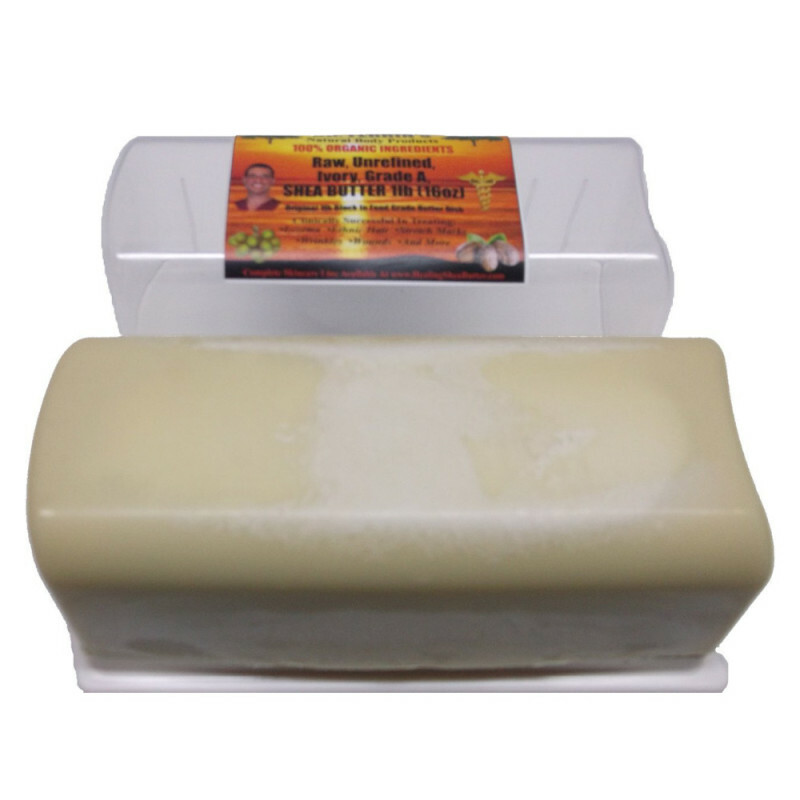 Analysis from Ghana Standards Authority Lab results of testing Organic Shea Butter for Moisture Content, Free Fatty Acids, Peroxide Value, Refractive Index, Saponifaction Value, Iodine Value and Unsafonifiable Matter. Importer F.D.A. Release Form­Released from the U. S. Food and Drug Administration at Port of Entry into the United States. 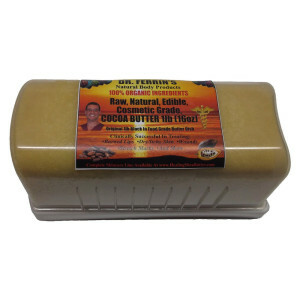 We have also conducted testing with the American Shea Butter Institute in Atlanta, GA. The Bio­Active Fraction of our Shea Butter has resulted in tests superior to other cosmetics such as Argan Oil from Morocco. The Bio­Active Fraction of Argan Oil is consistantly about 2% while Raw, Unrefined Shea Butter ranks an astonishing 4% to 17% healing power. 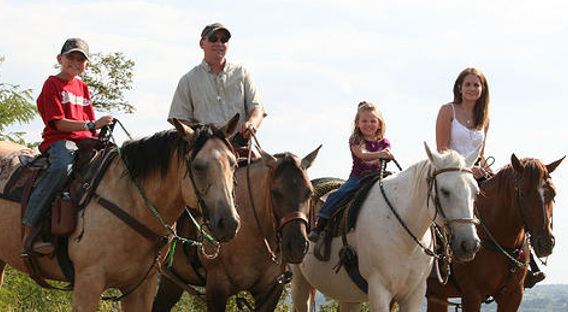 GUARENTEE: Clinically Tested and Recommended by Natural Healing Specialist Dr. M. A. Ferrin. 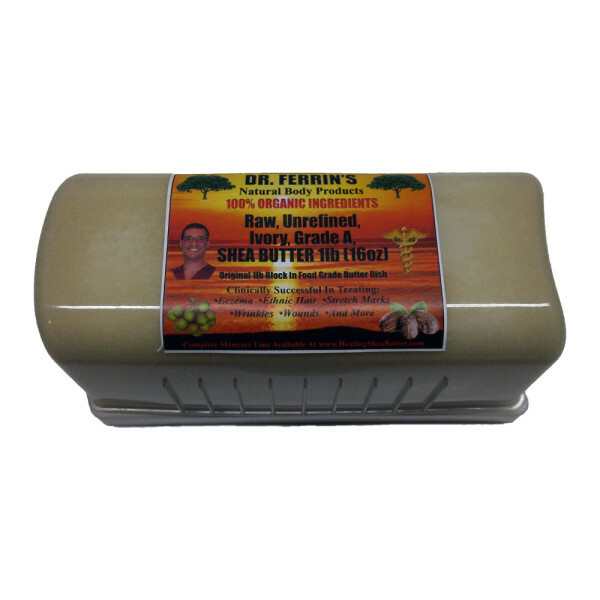 Distributed and Shipped to Your Home or Business by Dr. Ferrin's Natural Body Products LLC, Jefferson City, MO. 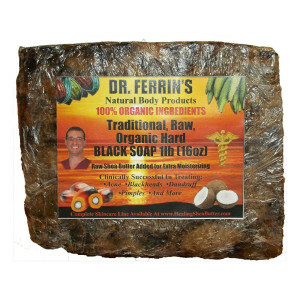 Please visit HealingSheaButter.com to View More of Dr. Ferrin's Natural Healing Organic Skincare Products.